With deep dismay, I have to agree that the vice president's speech to the UN contains an inaccuracy that betrays more than shoddy performance by her speechwriter and researchers in her staff. True, more than 7,200 men, women and children have been killed in Duterte's war on drugs, but not all are EJKs, although more than half of those killed are Deaths Under Investigations. It would have been more correct to say that MAYBE more were killed by vigilantes than by police, AFP men, and NBI agents combined. A more important point here is that her international proclamation, hitting the president (no matter how Hitleric) and the police (even if saturated with rogues and murderers), should not have carried such an error that it undermined Leni's credibility. That she delivered that damned message shows that she was careless with her facts, or she allowed incompetent staffers to handle important affairs under her watch: Either way, she has shown a portentous tendency towards the apathy and bureaucratic system that led the disgusted voters to spit at the imbecile Noynoy Aquino and his plundering LP partymates. A big portion of Duterte's 16 million votes is a protest against the way Aquino and his thieving cohorts had mishandled their tasks. 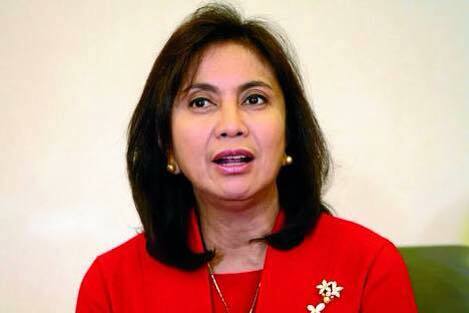 And, now, Leni is showing signs of LP jaundice. I'm asking -- still trying to hang on in my belief in Leni's capability -- if she did not question the figure of EJKs while rehearsing her speech. "Is not this wrong?" she could have asked. "Surely not all of the deaths are by vigilantes, drug dealers, and hired killer-cops? Wala bang legitimate operations?" But her speech, aired worldwide, indicates that she did not. Not one in her staff pointed out the error. Or exerted some efforts to check the veracity of PNP's alleged palit-ulo system. After that, the descent to suspicion follows: She is not really aware of what's happening to this country? She doesn't know. She doesn't care! And we descend deeper: Maybe she did not do so well at the Housing post to which Duterte had appointed her? And the beginning of a halo above Duterte's head conceals his horns: The president would not sacrifice the housing of thousands of poor citizens just to play politics against Leni, would he? Maybe he just used Leni's criticism of him as a pretext to remove her from his Cabinet. A graceful exit for her, and he sustains more ego-bruises. But that's my bottomline on Leni (and hallucination on Duterte's gentle nature). I will not -- yet -- believe that Leni Robredo is not a decent woman, one who will act against Duterte mainly to replace him as president. I will not put Bongbong beyond such act, but Leny should be above such manipulations; if not, I'll seek succor in the fetal position while hell comes crashing through. Leni's mistake is not an impeachable offense, even if lackey Alvarez of Congress and puppet Pimentel of the Senate are amenable to poo in their own legislative turfs. Duterte has proved that a madman intent on his course can drag along supposedly honorable critters in his wake of destruction. A suicidal Hitler taking along as many as he can. The vice president must own up to her mistake, and must resolve to be accurate in her pronouncements in the future -- and must not be like the president she criticizes. She has earned Senator's Lacson's pique; more seriously, she has lost his respect, and of those who wish her well. She must apologize for misleading the United Nations and millions of people worldwide about the figures of death and their causes -- to retain the respect that she could, to obviate the suspicion to her possible motive, to show Filipinos that there's decency somewhere in this country.